If you are an aspiring landscape photographer, and you aren’t using an ND (neutral density) filter for your daytime photos, you might as well stop now. Okay, don’t listen to me. I am pretty sure Ansel Adams did not always use neutral density filters on his photos, if ever. But if you are wondering how other people manage to get that soft look in their daytime photographs, it is because they are doing slow shutter work on a tripod. And the reason they can use a slow shutter speed is because of the neutral density filter. 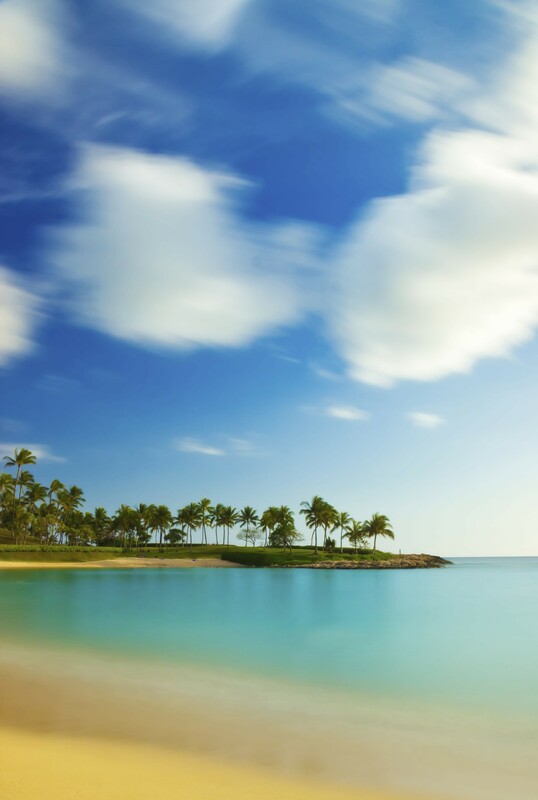 The photograph above of one of the lagoons at Ko Olina on Oahu, Hawai’i is a perfect example of this. A photo like this is completely impossible without the help of a ND filter. Great waterfall shots are impossible. Daytime shots of models with extreme bokeh are also difficult without the added filter. So an ND filter is a great investment. In my case, I use the Hoya Pro 1000 ND, and I have never been disappointed with it. A good portion of my photographs were shot using this ND filter. Why? Because I like the dreamy, ultra-colorful effects it can produce. Also, it is a must if you are trying to shoot waterfalls during the daytime. The sun is often too bright to allow you to do a slow shutter shot, and that is where having a great ND filter comes in. If you are going to get a ND filter, do your homework and make sure you get one that is dark enough to actually work. Some ND filters will say they are 3 stops down but be labeled with a larger sounding number. 3 stops is going to be too weak. In order to get great soft and dreamy daytime photos, you need a very dark filter. It should look almost completely black. My Hoya Pro 1000 is a great option for beginning photographers, but there are also some great ones from Cokin that veteran photographers swear by. Anything by Hoya or Tiffin should be super great though. ← How Did I Get This Shot?